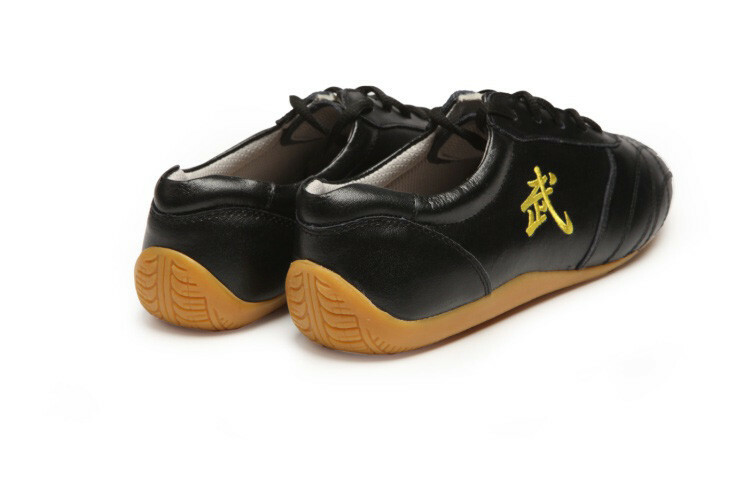 This is a popular Kung Fu shoes, two models meets all people, beginners and professional learners. Among the similar products on the market, our selection firstly based on the quality which conform to the strict requirements of Webmartial Shop. 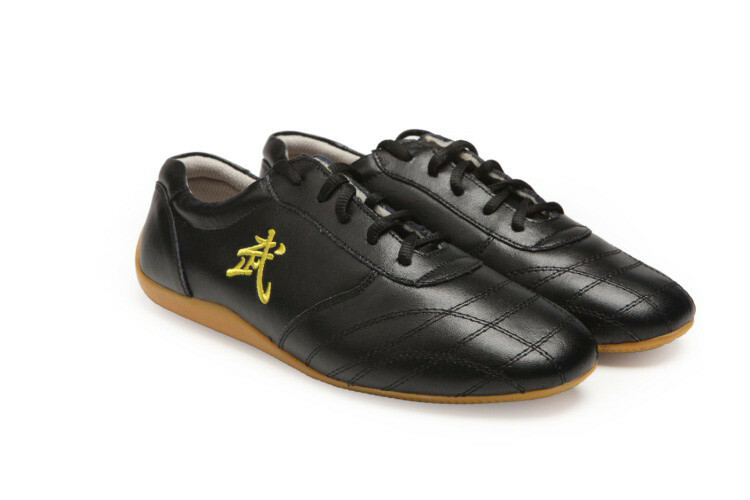 Solid leather shoes extremely comfortable, thermoplastic elastomer soles. This model is ideal for the practice of internal Chinese martial arts. 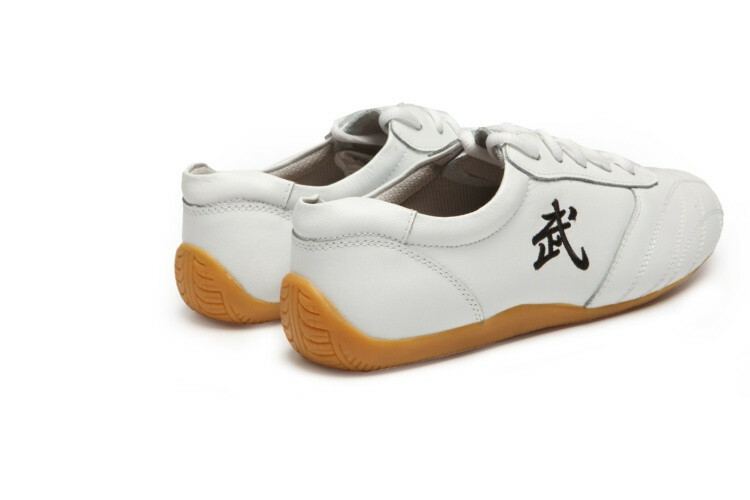 This shoe is flexible and lightweight with a embroidery of a Chinese character " WU (武) " . Color : black, white, red, shiny black, pink, blue, golden, light blue, gray. Matierial : PU leather for red, white and black, leather for shiny colors, thermoplastic elastomer. 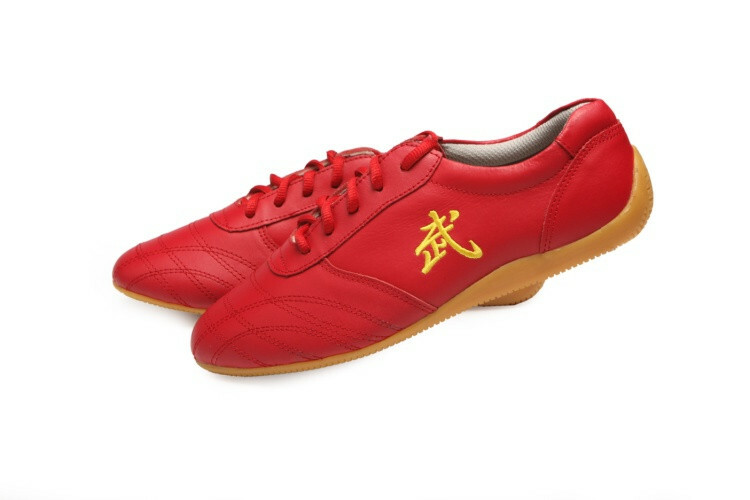 Modern Kung Fu shoes for the professional Kung Fu Team's training. 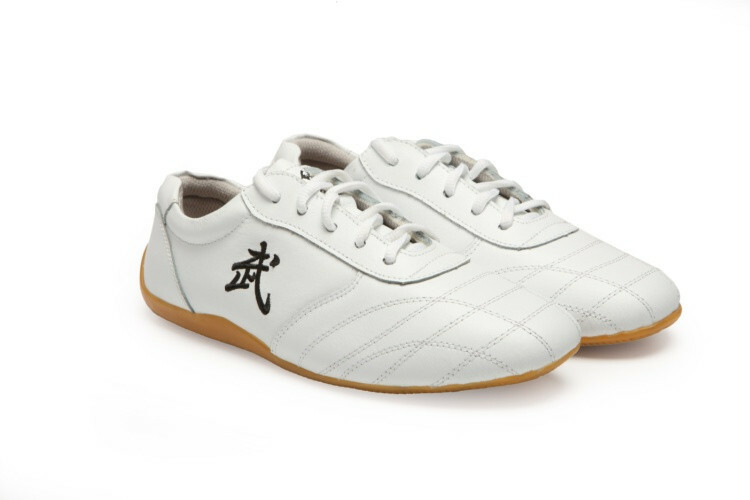 An embroidered chinese character "WU" (武) on the outside of the shoes. 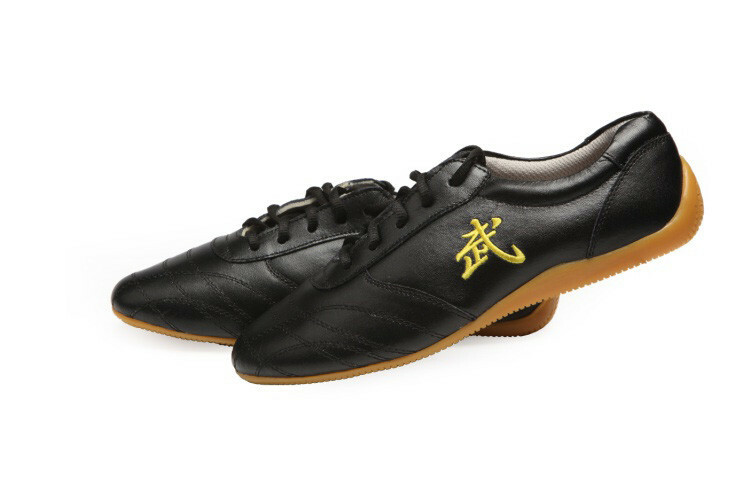 Outer sole is designed to a non-slip surface. Shiny pattern leather, tender and softer cover your feets. The size of this shoe is smaller than normal sports shoes , especially for men. If the front of your feet are wider and thicker, we advise you to choose the size above . Shiny colors are suitable for the demonstration or competition. 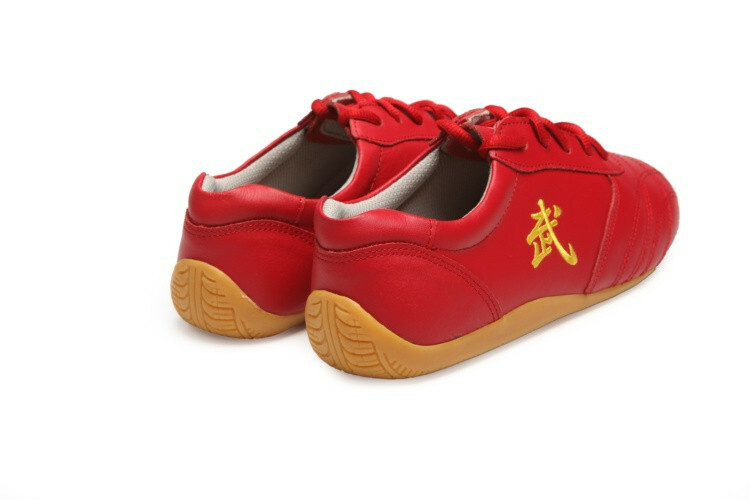 More information about choosing Kung Fu shoes : How to choose your Kung Fu shoes? These are great shoes, with excellent coverage over the top of the feet, while still being light weight and flexible. I have noticed some wear around the toe box since I bought them, but as I have worn them multiple times a week for 2 months, for the price I have no complaints. Really great value.